Te Papa’s curator of terrestrial vertebrates Dr Colin Miskelly tells the eighth instalment of the unfolding story of the emperor penguin that went where none had gone before (at least in the age of digital media). Previous blogs on the penguin were posted between 23 June and 29 August. Seventy-six days after he stepped ashore on Peka Peka Beach (and 72 days after he was taken into care), the wandering emperor penguin has been returned to the southern ocean. At 10:28 am on 4 September, he slipped unceremoniously backwards down a tarpaulin ramp fixed to the stern ramp of the Tangaroa, and slipped from sight. The release site was in water 285 metres deep at 51 degrees 42 minutes south; this is about 1250 km south of Peka Peka, and 78 km north of Campbell Island. His release was delayed by two days due to very rough sea conditions on Tangaroa’s voyage south from Wellington. For more details, see Lisa Argilla’s blog on the Wellington Zoo website. Lisa and two NIWA staff cared for the penguin while he was on board, housed in a specially designed insulated crate on the ship’s deck. 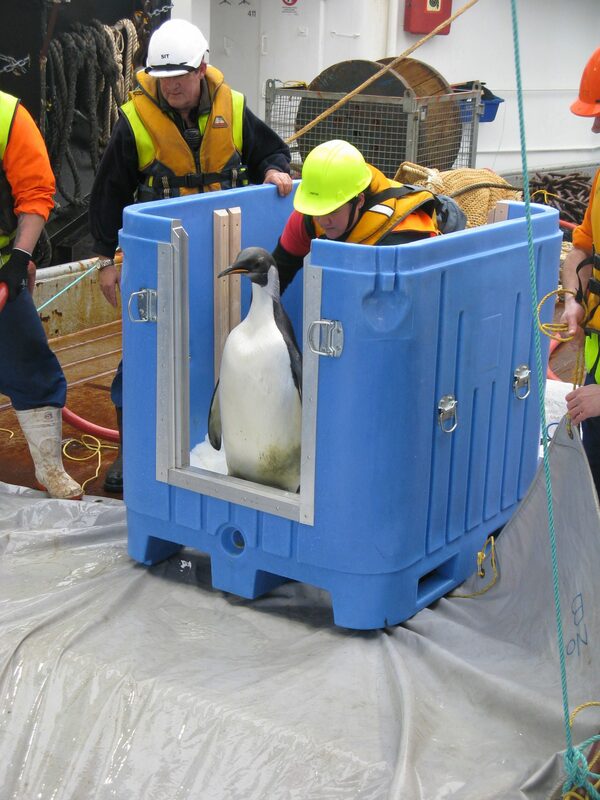 As the crate was non-metallic, and not inside the ship’s hull, the satellite transmitter glued to the penguin’s back successfully transmitted data during the entire voyage south. The transmitter was constructed and donated by Sirtrack, and data downloads are being sponsored by Gareth Morgan KiwiSaver – you can follow his progress on both the Sirtrack and Our Far South websites. The transmitter has successfully sent several signals since the bird was released, and showed that he has moved slightly east then south since release. Of course there is no guarantee that he will continue to swim south (he swam north last time he was in the sea!). It may take a few days for him to get his bearings and start moving in a definite direction. 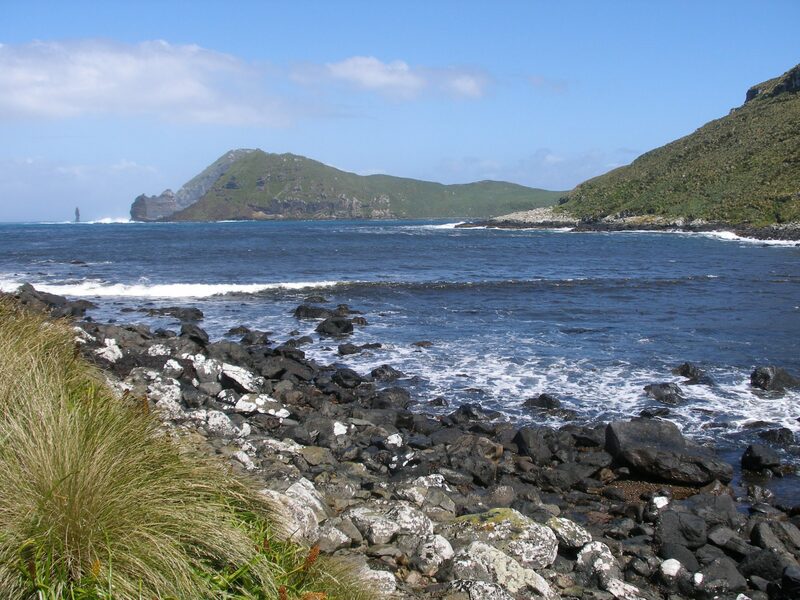 Campbell Island is the southernmost of New Zealand’s five subantarctic island groups. Two species of penguins breed there – the solitary-breeding yellow-eyed penguin, and the colonial-breeding eastern rockhopper penguin (one of the crested penguins). Several other species of penguin turn up as non-breeding vagrants, including frequent sightings of king penguins – slightly smaller and more colourful relatives of the emperor penguin. There are no records of emperor penguins ashore on Campbell Island, but it is within the at-sea range of juvenile emperor penguins. King penguins breed in large numbers on Australian-administered Macquarie Island 720 km west-southwest of Campbell Island. 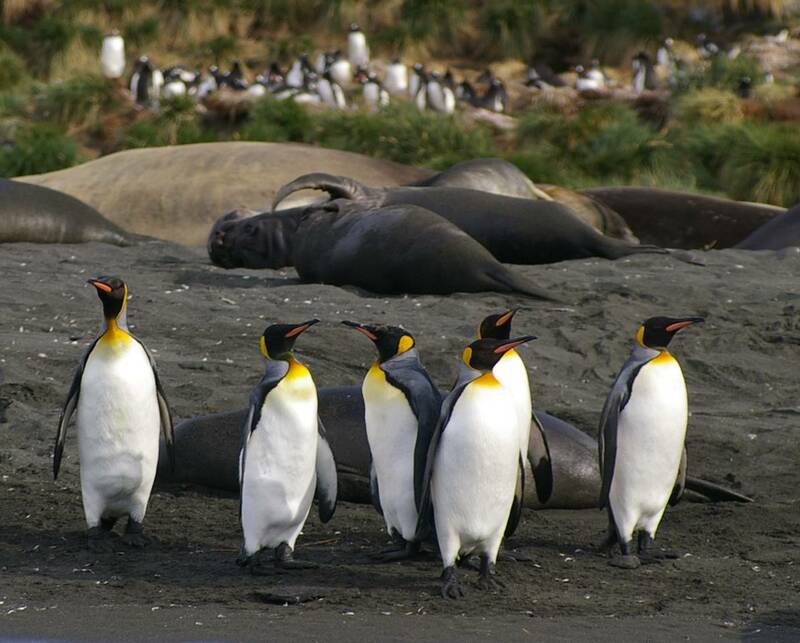 Apart from Peka Peka Beach in 2011 and Oreti Beach (Invercargill) in 1967, Macquarie Island is the only other site close to New Zealand where emperor penguins have been found ashore, with birds seen there in Feb 1997 and Feb 1998. Maybe you put a chip inside his flesh/body too – rather like we do for dogs and cats, but much more heavy duty of course. That way, scientists could try to locate him once he meets up with his buddies on the ice. In any event, he was always going to loose the GPS monitoring device once he moulted around January. It would be great if Dr. Miskelly could periodicaly give us his thoughts with Happy Feet’s progress ie general course, rate of travel, what he eats, how he rests, encounters with others etc. This would greatly help alleviate concerns for less educated observers such as myself. How is Dr. Argilla getting back to Wellington? The info. I read about the tracking device from the people who created it, said that the device would not work inside another animal, ,, this is what I have read on twitter @Lost_Penguin, and another account you can link up with, I think it’s @new zealand penguin ( twitter)…………I read the article, and Happy feet was @ normal ( seems like rubish,,, that’s what makes news,,,, )weight when released, and his instincts for recognizing danger, I’m sure he would not forget……… There are malicious people out there luckily the minimal,,,,,,I believe Happy Feet is fine……& will continue to be….. he’ll get home…………..
Is there ANY truth to the columnist “That Guy” from the Herald on Sunday…see link: http://www.nzherald.co.nz/opinion/news/article.cfm?c_id=466&objectid=10749357 where he says that it was reported from the research vessel that Happy Fee was attacked by a great white shortly after being released. If not why would someone write such a horrible thing??? Just letting you know how much we are enjoying reading your blog on Happy Feet. I personally have a bit of an affinity with penguin population as several years ago in Newcastle, NSW a friend and I cared for a much smaller fairy penguin and were delighted to have it nursed back to health and returned back to nature at the Myall Lakes. Presently I am an art teacher and the whole of my school at Kahibah (Kindergarten to Year 6 ) have been studying, painting and drawing large pictures of emperor penguins from the start of the year. Happy Feet couldn’t have been stranded at a better time for us as 280 kids have been following his exploits with great passion!! In around 4 weeks time I will be visiting Wellington and plan to visit Te Papa once again ( last time was 2001). I imagine there will be many changes during that time.It is such an amazing place! Can you tell me if you have any further information or any exhibits relating to emperor penguins that I could access to further enhance the learning experience of my students. Why have I become so concerned about this darling creature? I pray to God he knows where to find his penguin mates! Yes I am sad and worried also. Why was Happy Feet dropped into the ocean so far from home. Couldn’t the crew find a way to transport him closer first? Is it normal for a single penquin to be in the middle of the ocean and swim for thousands of miles? 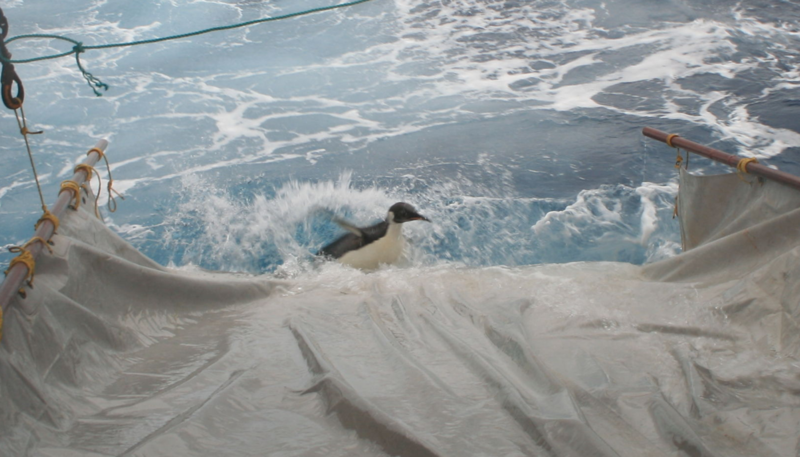 I would really like a reply from one of Happy Feet’s handlers that have been involved with his recovery and release. I think it would help a lot of people to know the abilities of these animals and so feel more reassured. Please. I am worried about Happy Feet. Swim well little one! God please take care of him.Amen. Please bear away from the East Happy Feet,,, God please direct this little one South,,,,,,,……………….